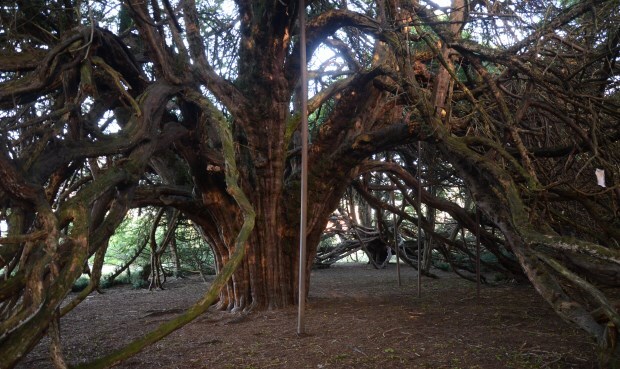 Access: The tree is located in a private residential development, close to the ruins of Ormiston Hall, East Lothian. It can be reached from the A6093. This unique tree is a wonderful example of a layering tree, as it has ten major branches, some of them supported by props, and all subdivided. At around five metres from the bole, the branches reach the ground and sprout new growth.